There are a lot of thorny issues here, but, in particular, the citation of “the Islamic Right” and its conflict with feminism touched a lot of nerves. There are right-wing fundamentalist political movements trying to fly under the colours of a whole host of religions, and Islam is not somehow specially immune. A recognition of these many movements and the threats they represent to rights and equality, especially for women and sexual minorities among others, is (as I understand it, although obviously I don’t speak for them) precisely one of the bases for the existence of an organisation like Women Against Fundamentalism. Do you have any doubt of the existence of the Christian right, especially in the United States? There are also Hindu right-wing groups like Sri Ram Sena, who recently famously attacked women in a Mangalore pub. And yes, there are Islamist right-wing movements (for example, Jamaat e Islam), and some of them are transnational with a British presence. If an organisation kept citing (say) Pat Robertson with approval, wouldn’t you waver in your belief of their commitment to universal human rights? In a period of right wing attacks on Muslims – or people thought to be Muslims – how does one respond to human rights violations by the Muslim right without feeding hate campaigns? When the US invokes the oppression of Muslim women to sanctify war, how do we practice feminist solidarity without strengthening Orientalism and neocolonialism? When the US targets jihadis for assassination by drone, should human rights defenders worry about violations perpetrated by those same jihadis or focus on violations by the state? Instead of sanitizing and protecting the Muslim right in the name of fighting colonialism and imperialism, we propose a strategy of solidarity with actual popular movements of democrats, trade unionists, religious and sexual minorities and feminists struggling in the Global South against both neo-liberalism and religious fundamentalism. The book is being launched at Toynbee Hall on Monday 11 February. 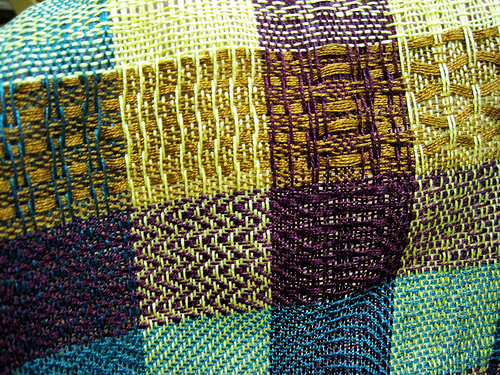 Image shows a woven pattern of cloth. Shared by Candice under a Creative Commons license.